This small, well hidden lake community could easy be over looked by Tempe waterfront home and lake community seekers, and that would be unfortunate. This community has unique features that make it a very desirable lake community in Tempe. A residential development of approximately 140 acres and 35 waterfront homes, it can be easily missed. I’ve seen a lot of lake communities in the Phoenix area, but this is one of the best smaller waterfront communities due in part to the unsuccessful attempt to originally be developed as a commercial area. The delay in building single family homes resulted in the homes in The Oasis at Anozira being newer than it’s neighboring communities. Homes were built beginning in 1994, while other subdivisions in the area were built in the 1980’s. Unlike other lake communities, the waterfront is not completely utilized for homes. Much of the waterfront is open space providing an excellent lake view and a spacious feeling as you travel through the subdivision. The lake is bordered by grass and a walking/jogging path that is almost a mile long around the lake. The lake has the best access and enjoyment for residents of any lake in the east valley. Homes range in size from 1,574 square feet to over 4,000 sq.ft. built by Beazer, Fulton and Blandford home builers. Another positive feature is the location, being about a mile away from the loop 101 freeway. Students in The Oasis at Anozira attend Kyrene del Norte elementary school , Kyrene Middle School, and Marcos de Niza High School. 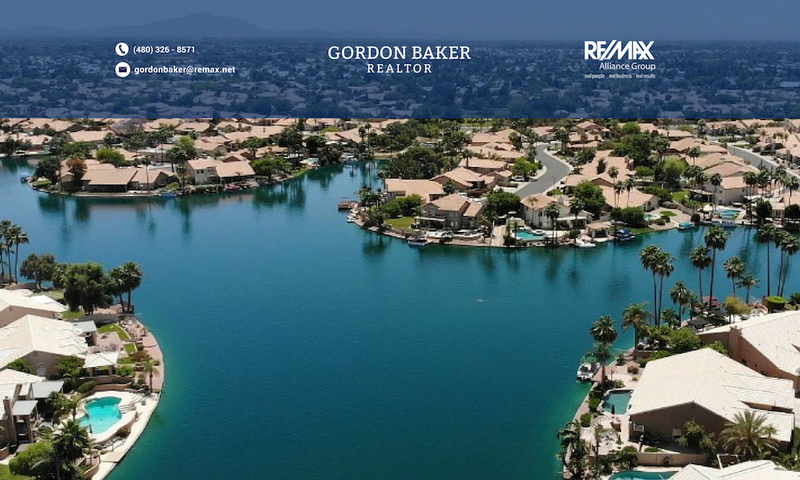 The favorable Tempe location, Kyrene School district, proximity to the freeway, newness of the homes compared to the area, and the great lake access and views make this a favorite waterfront homes and lake community choice. To receive new & updated listings in the community, click on Send me listings The Oasis. Additional waterfront homes searches are available at Waterfront Homes Search. Beautiful, the Tempe Lake area looks like a great place to live. Are waterfront homes selling well now? Waterfront homes are unique and when priced right in good condition they are selling, obviously for a premium being waterfront.